Source: The American Diabetes Association Vegetarian Cookbook. Recipe Credit: Steven Petusevsky. Photo Credit: Renee Comet. 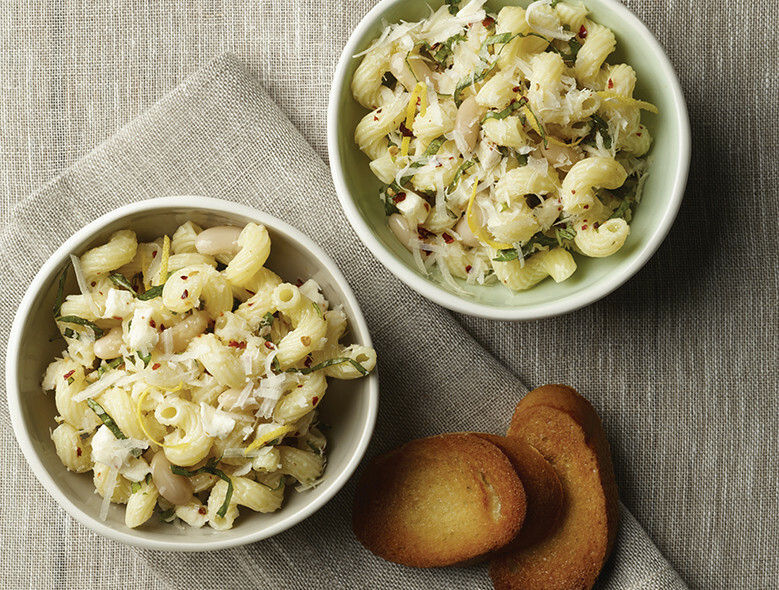 Cavatappi or corkscrew pasta captures the fresh shredded basil and creamy white beans in this Mediterranean version of a classic American favorite. This recipe from The American Diabetes Association Vegetarian Cookbook, by Steven Petusevsky. To order directly from the American Diabetes Association, click here. Cook pasta al dente, drain but DO NOT RINSE. Place pasta back into the pot it was cooked in. Add all remaining ingredients, adding the mozzarella last. Stir well to combine and top with lemon zest.